Heather and Carla haven’t seen each other in a long time. They knew each other in school but did not stay in touch. Now many years later they have agreed to catch up. Heather has arranged the meeting and Carla is more than a little suspicious of her reasons. While they were at school together, they seem to be from very different worlds. Heather is well spoken and obviously upper class, whereas Carla is poorly dressed and seems quite aggressive and uncouth. The strange couple meet in a coffee shop and their conversation is strained and awkward. That is until Heather reveals her reason for wanting to meet. She has a proposal to put to Carla, one that is violent and unsavoury. This is a play by English writer Morgan Lloyd Malcolm that was written in 2015. It is a two hander that explores the dark history between these two women. They are two badly damaged souls and you’re never sure where your sympathies should lie. While Carla is clearly the more destructive of the two, there are incidents in her past that could explain her actions. The play has many twists and the viewer is never on secure footings. The motivations of the two characters is unclear and the audience is left in the dark about many aspects of their relationship. While the script does stretch credibility at times, it is an enjoyable tale. The play is based in London with the actors using English accents. They may have been better served by changing the location so the actors wouldn’t have to struggle with their accents, as they did distract from the performance. Despite this, the play works well and you are sucked into the strange world of the protagonists. 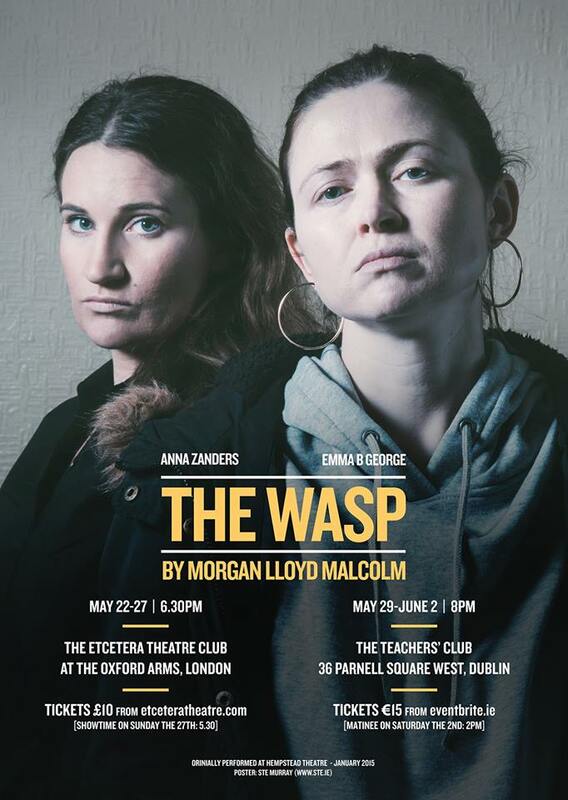 This play had a previous run in London so this is a chance to see it on an Irish stage.